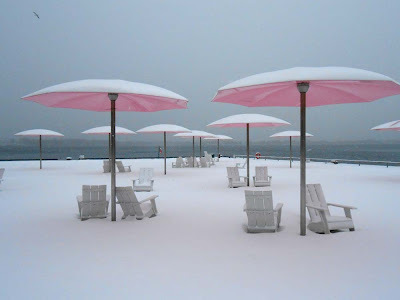 White crystals blanketed the urban park at the edge of Lake Ontario across from the Redpath Sugar factory. 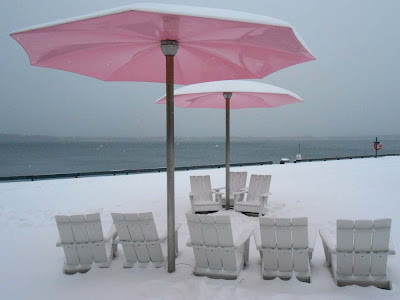 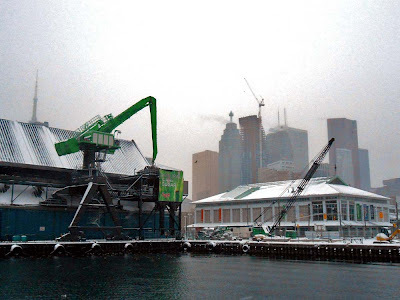 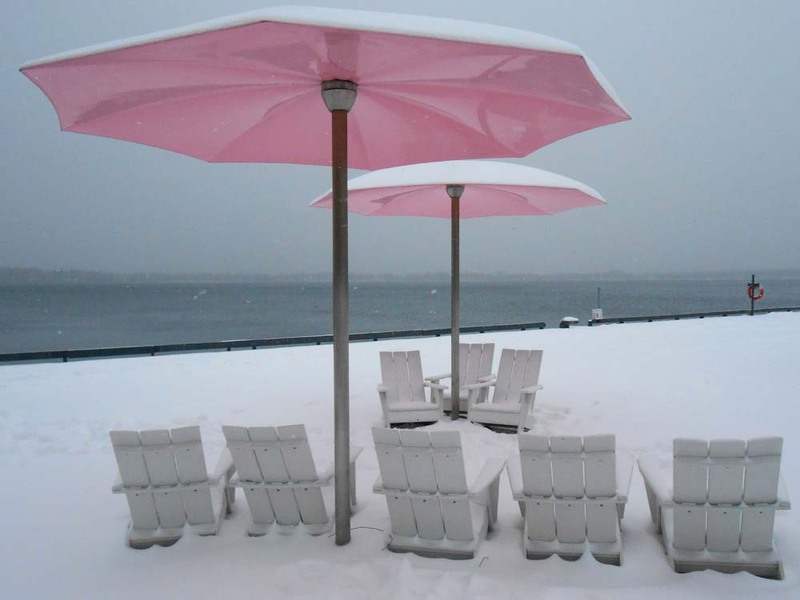 Believing a freak windstorm had blown the sugar onto the umbrellas and Muskoka chairs I tasted the white stuff, after several minutes and a touch of frostbite on my tongue I knew that I was incorrect. 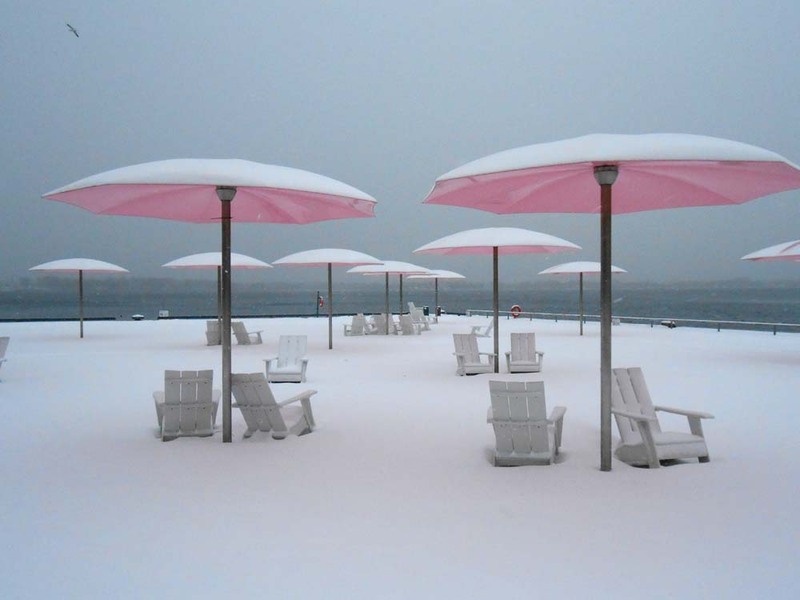 It was winter in the city.